The Legend of Zelda: Link’s Awakening is getting a remake for the Nintendo Switch. The news was revealed during February’s Nintendo Direct presentation. The game, which features an all-new 3D art style that celebrates the classic top-down perspective of the iconic Game Boy title, will arrive in 2019. Nintendo didn’t go into detail regarding the extent of this new version of the game, but the first trailer does give us a few quick glimpses at a cutscene and some gameplay, including a beautiful scene in which Link fights the stormy seas beyond the land of Hyrule. 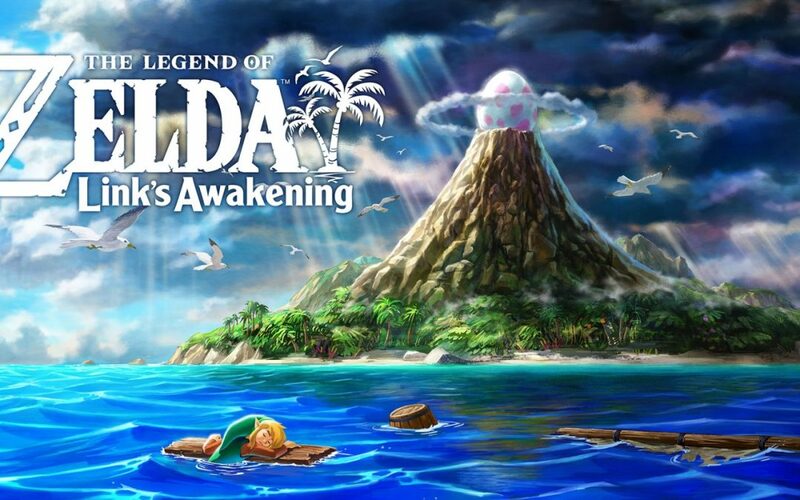 As fans of the original know, the game’s story sees Link become stranded on Koholint Island. In order to escape, Link must find the island’s protector, a giant deity called Wind Fish. It’s a strange detour in Link’s long history of fighting Ganon that’s very much worth your time. In terms of the gameplay, we get a few shots of the remake’s new, chibi-like 3D art style, which really complements the top-down perspective. We see Link dodging a chain chomp, fighting a few enemies, cutting down some plants, and tackling the remade version of the Rolling Bones boss fight. The game returns to the simplified hack-and-slash combat showcases in early Zelda titles as well as many of the handheld offerings. Recent Zelda games, including Breath of the Wild, have embraced more complex combat systems. Link’s Awakening, Zelda‘s first handheld instalment, was originally released in 1993 on the Game Boy. It was originally planned as a port of A Link To The Past before the project became its own thing, moving away from the land of Hyrule as well leaving behind many elements of past instalments. The game was a major success for Nintendo. We’ll keep you updated as we learn more about this new Zelda adventure, which is expected to arrive later this year.